The International Council for Adult Education is governed by its General Assembly that is a gathering of the entire membership of the Council. Every four years, the General Assembly elects up to twelve (12) members of the Executive Committee, including President, Vice Presidents (one per region), Treasurer and (3) board members. 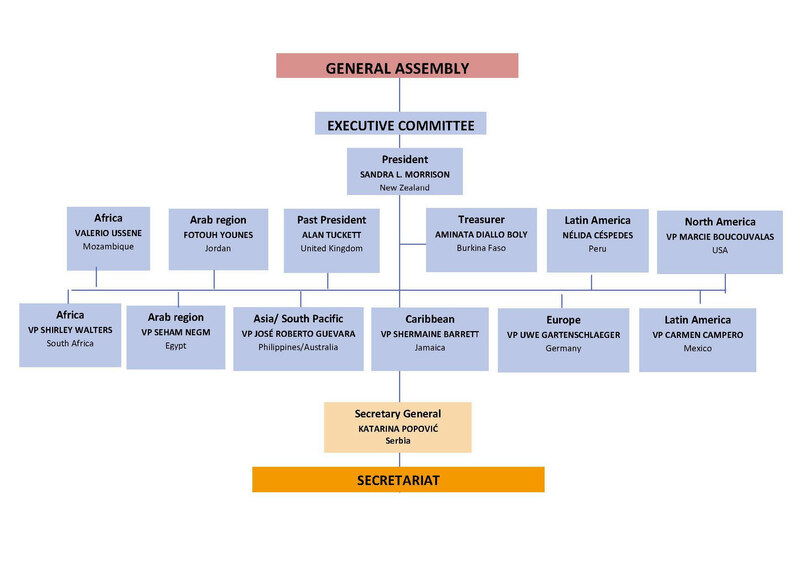 The Executive Committee is defined as the responsible governing body of ICAE, accountable to the General Assembly. The Secretariat has global character and consists of the staff members who are based in different countries, and the Secretary General is based in Serbia.